Has this happened to you? More than once? Runners and ballet dancers have something in common...toes that are far from pretty. 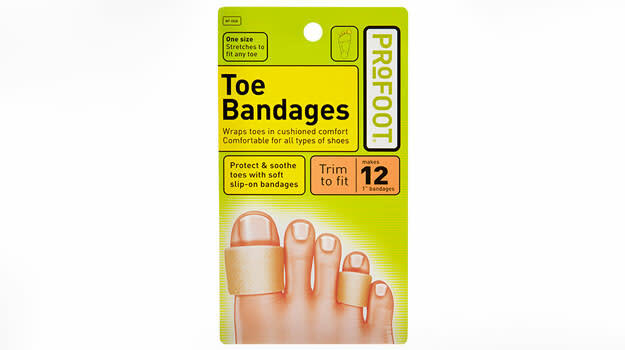 We asked podiatrist Dr. Jackie Sutera on the behalf of PROFOOT for advice on a common running problem⎯missing toenails. "After a long run, sweat has built up and your feet are slipping around in the shoe a little more than if they were dry. The constant sliding back and forth of the toes which jam into the front of the shoe causes micro trauma. This micro trauma can loosen the nail plate which will then cause it to eventually fall off. The good news is that most of the time the nail will grow back without any sign of the injury. Some tips for prevention: make sure your shoes fit. Shoes that are too tight will press, shoes that are too loose will create more room to slide around. Shoes must be just right. Also⎯keep your nails on the shorter side. If your nail is too long it is also susceptible to trauma, injury and damage. And lastly, wear sweat absorbing socks, or lightly power your feet to absorb extra moisture." So keep those feet dry and make sure you have enough support in your running shoes before your next marathon.